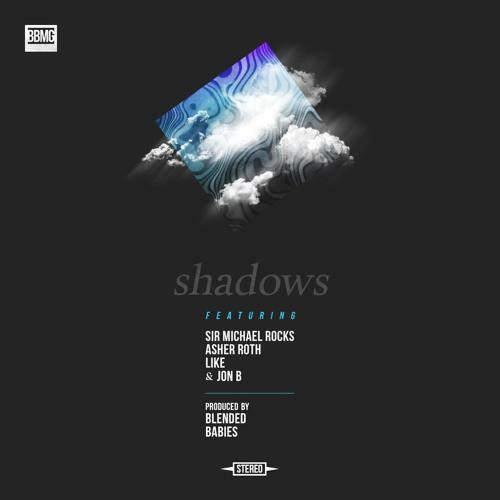 Blended Babies enlist Asher Roth, Sir Michael Rocks, and Jon B for "Shadows". Blended Babies reunited the Cool Kids on their recent track, "On My Own," and it may be the last recorded instance we hear of the duo made up of Chuck Inglish and Sir Michael Rocks (at least under that title), as the latter refuted rumors of a reunion on Twitter this weekend, revealing the Kids were "never coming back". Maybe then, it's time that people pay the respective solo careers of the defunct group's members more attention, starting with this guest spot from Mikey Rocks on yet anotehr Blended Babies cut. Also along for the ride are Asher Roth and Jon B, rounding out a wonderfully psychedelic synth pop outing. What you into? John Hughes, Wes Anderson?